We would like to thank all of our sponsors and participants for making all of our REACHING OUT programs such a huge success. We wouldn't have been able to do it without the enthusiasm and support of you all. Below are some photos taken over the three days of programming. This was just the beginning, so stay plugged into Suburban Temple-Kol Ami! Click Here to view this week's Kabbalat Shabbat Service via LiveStream! 'But He Was Good to His Mother' by Robert A. Rockaway is the book for our Thursday, April 25 at 7 pm book club meeting. Men and women are invited to share in conversation or just listen to others! An RSVP to dhopkins@suburbantemple.org is requested before April 21. Location will be given at time of reservation. A thrilling assortment of true stories involving pitiless men, who murdered in cold blood and stole millions on their way to becoming the top gangsters of their era. Men for whom the law meant nothing and the threat of prison held no fear. Gangsters who were cop-killers, ran entire neighborhoods, shunned their heritage and turned their back on the obligations of their religion, who cared for nothing, but with one glaring exception they were good to their mothers. KIDS’ BOOK BANK 20 available placements Chair: Ellen Weber Ages: 9 and up We will meet at the Kids’ Book Bank (3635 Perkins Avenue, #1E, Cleveland, OH 44114) at 10:00 AM. The Kids’ Book Bank provides children’s books to thousands of children in Cuyahoga County. Your help in sorting ensures these books can get into the hands of kids! This project runs from 10:00 AM-12:00 PM. KOSHER FOOD PANTRY 8 available placements Chair: Greg Passov Ages: 10 and up We will meet at the Kosher Food Pantry (2004 S. Green Road, South Euclid, Ohio 44121) at 9:30 AM. We will sort and fill grocery bags for those in need of food. The bags will then be distributed throughout Cleveland. Keep in mind some physical ability is required (i.e. standing, sorting, filling). This program will end at 11:00 AM and then we will need 2 volunteers from 11:00-12:00 PM. LET’S CLEAN UP STKA! 10 available placements Chairs: JoAnne and Len Podis Ages: 7 and up The landscape at STKA could use a little TLC. We will meet in the Sanctuary at 10:00 AM. We will then head out (or stay in depending on weather) and will finish up at 12:00 PM. No experience necessary! JEWISH VALUES ROCK PAINTING Unlimited available placements Chairs: Rabbi Shana and Larry Bresler Ages: All We will meet in the Sanctuary at 10:00 AM. We will then head to the Family Ed Room to learn about different Jewish values and then decorate paint rocks to exemplify these values. The rock will then be place around our property for decoration and inspiration. We will be done at 12:00 PM. COACH SAM’S INNER CIRCLE 7 available placements Chair: Ori Akrish Ages: 10 and up (children must be accompanied by a parent or other adult) We will me in the Sanctuary at 10:00 AM. We will then head over to the Coach Sam’s Inner Circle Foundation office (23715 Mercantile Rd, Beachwood, OH 44122). Our member, Ori Akrish, is the Executive Director of this wonderful organization that offers wholistic afterschool educational programs to inner city kids. They have new offices and could use some help organizing! We will be done at 12:00 PM. RESCUE VILLAGE 15 available placements Chair: Brynda Ivan Ages: 10 and up (children must be accompanied by a parent or other adult) We will meet at Rescue Village (15463 Chillicothe Rd, Novelty, OH 44072) at 10:00 AM. We will be helping with the animals and the facilities at Rescue Village and our time there will include a tour and some dog time too! We will be done at 12:00 PM. RESCUE VILLAGE AT STKA 20 available placements Chair: Shellie Nyer Ages: All We will meet in the Sanctuary at 10:00 AM. We will then head to the Garden Room where we will put together adoption folders and make card for families and pets who have found the furever home. We will be done at 12:00 PM. COMFORT AND CARE FOR NURSING HOME RESIDENTS 10 available placements Chairs: Andi Wasserman and Susan Hirsch Ages: 10 and up (children must be accompanied by a parent or other adult) DETAILS ARE FORTHCOMING! All 6th, 7th and 8th Graders are invited to join in the fun at Shaker Rocks - a rock climbing gym! Drop off and pick up at Shaker Rocks: 3377 Warrensville Center Road, Shaker Heights. The cost to attend is $20 Per Person. Please bring cash or check to the event (Checks should be made out to: Fairmount Temple) To participate please register online and be sure to sign off on the waiver. The life of Polish Jewish author, Bruno Schulz, was cut short through a violent death at Nazi hands, and much of his writings were lost. Nevertheless, the stories and essays he left behind earned him a reputation as one of Poland’s great writers, and his work continues to influence contemporary Jewish authors of renown, including David Grossman and Philip Roth. In this talk, Agata Tuszynska— who has recently published an award-winning biography of Schultz—focuses on the role that Schultz’s fiancée and muse played in ensuring Schultz’s legacy. 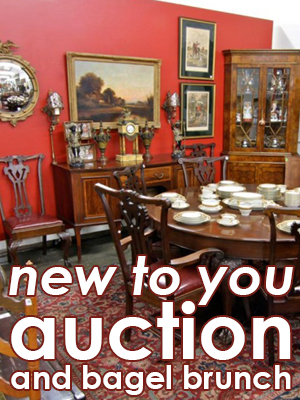 New To You Auction... and Bagel Brunch! Please join us on Sunday, May 5 at 10 am for our Annual Bagel Brunch and Silent Auction! The cost to attend is $6 for ST-KA members and $8 for their guests. If you'd like to RSVP, please contact Keesha at 216.991.0700 or via e-mail (ksellars@suburbantemple.org). Come bid on some amazing treasures donated by our members. All proceeds will benefit the Temple. We are in need of donation items for the silent auction! Please drop any of the following items off to the Temple by Thursday, April 25. •	Art •	Books •	Decorative items •	Jewelry •	Ritual items •	Serving pieces •	Toys and games All items must be in good condition. If you have questions about items that we accept, please contact Rabbi Shana Nyer via e-mail (snyer@suburbantemple.org). What is So Exciting about Our Tent???? Click HERE to find out!